Costa Rica’s World Cup appearance at the 2018 FIFA World Cup in Russia was an exciting opportunity for visitors and locals alike. Normally, the country’s biggest party of the summer is in La Fuente de la Hispanidad in San Pedro every time the Costa Rican national soccer team is victorious. For the past 20 years, La Fuente de la Hispanidad, a fountain outside the San Pedro Mall, has been a gathering point for Costa Ricans to celebrate joyous occasions. And no such occasion rivaled the 2014 World Cup, when La Sele overachieved beyond anyone’s wildest expectations. When Costa Rica topped Greece in a dramatic penalty-kick shootout to advance into the World Cup quarterfinals, thousands of people flooded the national monument, shutting down the streets in an outpouring of sheer jubilation. Costa Rican fans shut down the streets around the San Pedro Mall following victories in the 2014 World Cup. Costa Rica has made a pattern of surprising at World Cups, the international soccer tournament held every four years for which nearly every country on earth has a chance to participate. La Sele, as the national team is affectionately known, has qualified four prior times, and the magic of their success hasn’t been forgotten. While Costa Rica has never won a World Cup, it has twice significantly exceeded expectations and established itself as the most successful Central American soccer nation. Of the CONCACAF region — comprising North America, Central America, and the Caribbean — only Mexico and the United States have qualified for more World Cups than Costa Rica. The 1990 and 2014 World Cups and the players who participated in them are icons in Costa Rican lore. Ask any middle-aged tico, and he’ll describe in vivid detail where he was in the summer of 1990, first time for the Costa Rica world cup. Many will remember when La Sele achieved a dream start by beating Scotland in the opening match. But the truly unforgettable moment came against Sweden, when Costa Rica scored twice to complete a come-from-behind win and secure an unlikely spot in the elimination stages of the tournament. With his game-winning strike in the closing minutes, Hernán Medford had assured a victory not just for Costa Rica World Cup but for the entire region, as a Central American nation advanced beyond the group stages of a World Cup for the very first time. Costa Rica surprised the soccer world when it advanced in the 1990 World Cup. The ticos would be eliminated in the 16th round, but that couldn’t diminish the team’s legend status. When their flight returned to Costa Rica, the pilots flew it low over the entire country. Players peered out the airplane windows and saw streets filled with people waving at their new heroes. Costa Rica didn’t qualify for the 1994 or 1998 World Cups, and it won just once in the 2002 and 2006 tournaments. Though the ticos gave host country Germany a scare in the opening game of the 2006 World Cup, the magic of 1990 seemed like beginner’s luck, a quirk in history. 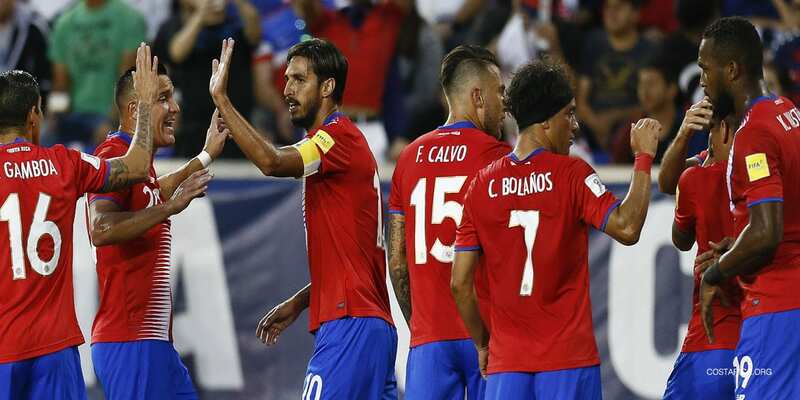 But in that Group of Death, Costa Rica beat Uruguay handily in its first game. And then Costa Rica stunned Italy, a four-time World Cup champion. And finally, they tied England. In the Round of Sixteen, Costa Rica eliminated Greece, it was unbelievable. Somehow, a country of fewer than 5 million people and few stadiums was among the final eight nations remaining in the prestigious World Cup, with a new batch of heroes — goalkeeper Keylor Navas, captain Bryan Ruiz, striker Joel Campbell — known not just in Central America but worldwide. Cue the party at La Fuente de la Hispanidad, and in cities and villages around the country. For Costa Ricans, the national soccer team signifies more than its successes and failures. In many ways, La Sele embodies the spirit of a nation fighting for recognition and respect. That much is clear in Costa Rica’s ongoing soccer rivalry with the United States. In 2009, it was the United States that prevented los ticos from qualifying for the World Cup with a last-minute goal. Players collapsed on the field in tears, and the nation mourned the disappointment. When blizzard-like conditions helped the United States triumph over La Sele in a 2013 World Cup qualifying game held in Denver, Costa Ricans considered it not just a lack of sportsmanship but a slight to the entire country. Costa Rica’s 3-1 victory later that year in San José was seen as deserved revenge. And Costa Rica played a key role in preventing the United States from qualifying for this summer’s World Cup in Russia. In the final round-robin elimination stage, the ticos beat the Americans twice — a 4-0 drubbing in San José, and a 2-0 embarrassment in New Jersey. But in any big game, the television commentators remind you it’s about more than a single rivalry or the players on the field. When Costa Rica scores, the announcers tell the nation: “¡Grítenlo con nosotros!” — for everyone to cheer the goal as one. And when Costa Rica wins, the country celebrates together, at La Fuente de la Hispanidad, where passion reigns and everyone is family.